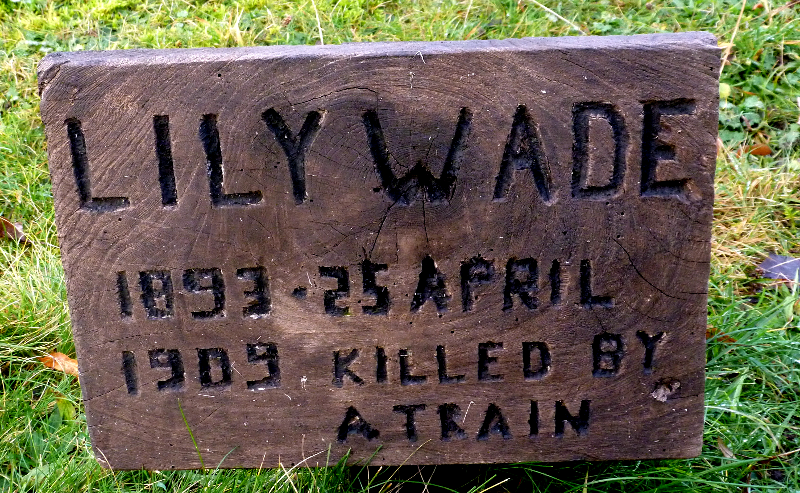 Lily Wade was born in Fingringhoe on the 8th October 1893. 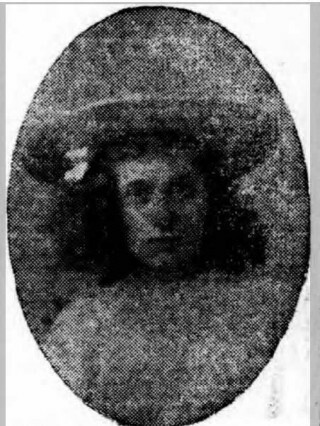 She was the eldest of 6 children born to Augustus and Sarah Ann. 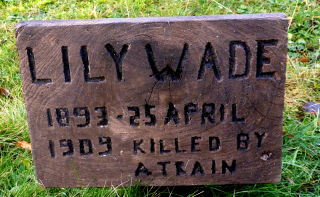 Lily did not live to see the birth of Tom, who would have been her youngest sibling, as she died at the age of 15 in a sad and tragic accident. On the 24 April 1909, Lily, like many girls of her age both then and now, she had gone out with a friend for the evening. It was a Saturday evening, and on this occasion they visited Colchester Hippodrome. Lily was returning home with her friend Christine Carter on the 11.15 pm train from St Botolphs railway station. A slightly different version of events was given by Lily’s friend Christine. When questioned at the inquest she stated that Bob Howe had pulled Lily onto his lap. Whichever version was correct, the incident appeared to be without rancour on either side as when the train reached Wivenhoe, Lily and Christine alighted from the train accompanied by Bob Howe. They stood on the platform chatting before Bob got back on the train to continue his journey to Brightlingsea. Exactly what happened after that is not totally clear. There were a number of versions of events given by various witnesses, as well as Bob Howe and Lily’s own tale told to her father during the time he spent with her in the hospital over the next couple of days. When Lily’s father asked her what had happened she told him “ Howe got hold of my hand and would not let me go”. Lily’s father described his daughter as a quiet, steady girl. Bob Howe denied holding on to Lily’s hand or holding on to her handkerchief, but said one of her hands was on the window ledge before the accident happened. A witness unrelated to the incident, Charles Barnard Lincoln, told the inquest that he was sitting in the next carriage. He saw the deceased on the platform pulling at what appeared to be a handkerchief attached to the carriage. He could not see that anyone had hold of the handkerchief. He thought he heard a girl with the deceased say “Oh don’t trouble about the handkerchief, leave it” The signalman came along and took hold of the girl to get her away from the moving train and that’s when they both fell backwards. The deceased fell between the carriages dragging the signalman with her. The signalman, Albert Exworth was on duty that evening. In his account at the inquest, he told how as the train was moving out of the station he noticed a girl running alongside it. When she got level with him he noticed that her hand was clasped by a man’s hand. The girl said “Look at him, look at him!” The witness took hold of the girl around the waist and tried to get her away from the train. The resistance however was so strong that both he and the girl fell under the train together. He stated that he was in a dazed condition and just remembered getting on to the platform and reporting to the Stationmaster. He could not say who had hold of the girl’s hand. The girl and the young man seemed to be laughing and talking together. The witness could not swear that the girl was being held against her will and she did not ask him for help. The girl was attended at the scene by Dr Squire of Wivenhoe. He stated that on examining the girl’s hands, there was no evidence of them having been tightly squeezed. When asked by the Coroner if Lily had made any statement to him, he responded by saying he would rather not say unless pressed. The jury expressed a desire to know what had been said by Lily to Dr Squire. Dr Squire wrote the remark on a piece of paper which was given to the Coroner, but the information was not shared with the jury. The train had passed over Lily’s legs between her knees and ankles. One leg was practically severed and the other very badly injured. Lily was taken to Colchester hospital accompanied by Dr Squire and Lily’s father who had been brought to the station. Dr Brander who was the house surgeon at the hospital said that the deceased had both her legs crushed. The left leg was broken and both ankles were broken. There also appeared to be internal bleeding. She was in such a state of collapse from loss of blood it was not thought advisable to perform an operation at the time. Lily got gradually weaker and died from shock and haemorrhage at the County Hospital in Colchester early on Monday morning. Having heard all the evidence at the inquest, the jury after 35 minutes deliberation found that Lily had met her death by accident, caused indirectly, but unintentionally, by the young man Howe holding on to her hand and that Howe was deserving of severe censure. The Coroner in conveying this censure, expressed a hope that the terrible ending of that silly night would serve as a warning to him. The jury also commended signalman Exworth, who was still recovering from the less severe injuries he sustained, for having done his duty at risk of his own life. 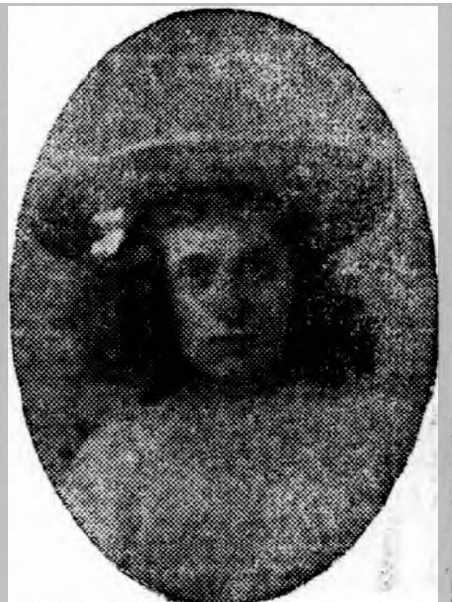 Lily’s funeral took place at the Wivenhoe cemetery with many wreaths being placed on her coffin and an address was given by Reverend Sinclair Carolin. He remembered her as a chorister who had been singing in the Church just a week before her death. What a desperately sad tale. What probably started out as a mild flirtation, with laughing and flirtatious chat, had ended in such heartbreaking sadness for so many people. What must Bob Howe have felt for his part in the tragedy, and for how long might that night have troubled him. What terrible anguish for Lily’s father to have seen his child in that situation and to watch her suffer over the next two days.